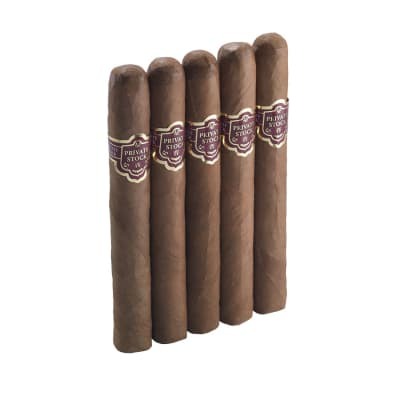 Now you can channel Sir Winston Churchill every time you light-up one of these plush Romeo y Julieta Vintage #4 cigars. 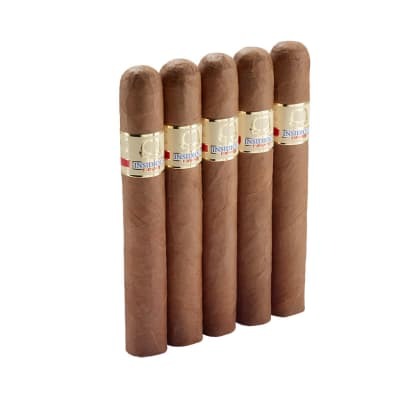 A long-aged blend of select Dominican tobaccos & Connecticut wrappers offer you a toasty, creamy, medium-bodied smoke that would delight any diplomat. Add a box to your cart now. 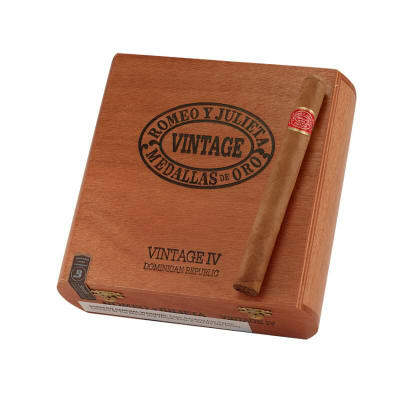 The RomeoyJulieta Vintage 4 is consistent. I'll never forget my first experience with RyJ. I was at a tobacco store in Falls Church, Va. looking for a different kind of cigar. One of the proprieters was smoking the most outstanding smelling cigar. I asked what it was and he told me RyJ Vintage IV. He gave me a very special price to try one. I bought a box. This was many years ago, before the "cigar craze" struck and I was still new to the pleasures of the one true smoke...a good cigar. 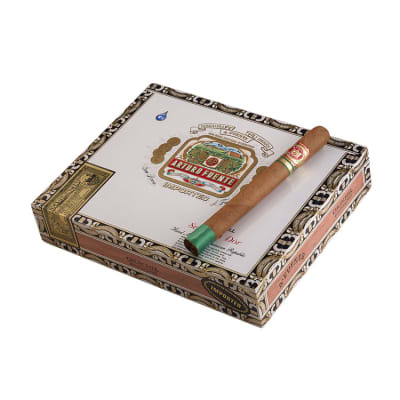 I've since smoked many "real Cubans' and they still cannot make me sway from my favorite... the Vintage IV. That unique aroma, mild yet full taste and always perfect construction won't let you down. This is a nice smoking cigar....IF you re LUCKY enough to light one that burns right.. Recently bought a couple of 5 packs and a box. I would say 40% o so had problems with tunneling and other types of burn and draw problems. 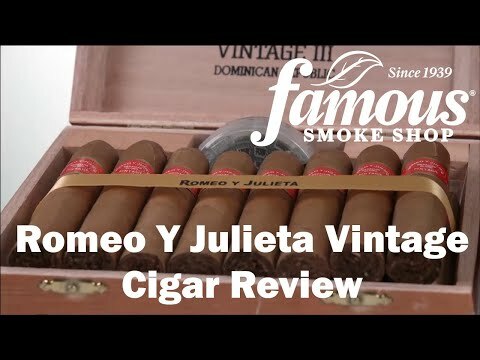 Won t be wasting my time, money, or hopes by ordering any more Romeo Y Julieta.